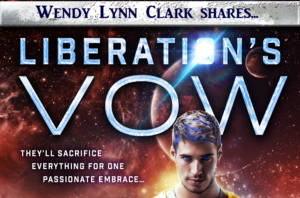 The Liberation’s Vow Blog Tour begins today! I’m blogging over at the Multiverses of Liza O’Conner. She features many science fiction romance authors. Find your next great read today! Don’t forget about my New Release Giveaway. A $25 Amazon gift card could be yours + a secret smaller prize definitely will be!